Have you ever wondered if your business makes the right impression when people walk through your door? It’s time to stop wondering and feel confident that your floor does your business justice. 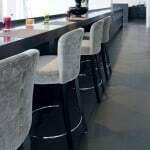 There’s a whole host of commercial flooring options available but none that shout quality quite like a polished concrete floor. 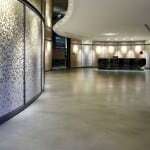 Say goodbye to worn out patches of carpet and scrappy-edged floor tiles and hello to the most durable commercial flooring option there is: polished concrete floors. Regardless of whether you need office flooring, a new shop floor or customer reception flooring, it will need to withstand constant traffic. Because of the sheer strength of concrete, it’s not going to chip or dent like wood, or curl up like carpet and laminate tiles, so it’s incredibly durable and always looks as good as new. We can apply our product directly to your existing substrate, which means we avoid the major upheaval of more traditional preparation methods. Our hand-applied product then has a seal applied to protect it from staining and discolouring, which will give your commercial flooring a quality look and feel that won’t fade over time. As you can imagine, polished concrete floors are very easy to maintain. The sealer we apply while polishing creates a barrier that won’t let any dust, dirt or allergens in, so you’ll only need to clean the floor with a damp mop occasionally. There’s no need for messy waxes or coatings to keep the floor looking smart so your business space will continue to look professional day in, day out. We’re approved installers of ARDEX PANDOMO®, which means we can offer you the ideal colour for your environment. If you want your new office flooring to compliment your corporate colours, we can do that for you. ARDEX PANDOMO® comes in five colour schemes; light, natural, pure, bright and accent, and each shade can be altered to create the perfect colour for your business. 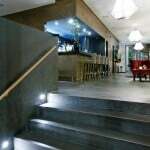 We offer a vast range of concrete finishes, all of which are easy to install. Our trained advisors will visit your business to conduct a survey, then talk you through all your options in detail. We’ll then create a bespoke commercial flooring solution for you that will match your exact specifications and lay the floor at an appropriate date, leaving you with a stunning, robust floor that’s perfect for your business. 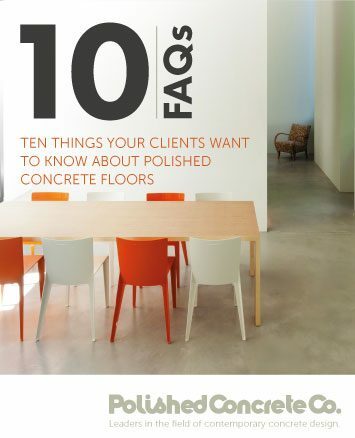 With all the benefits that polished concrete floors bring, it’s no wonder that they’re quickly becoming the most sought after commercial and office flooring option. Talk to us today to find out how your business can benefit from the professional look and feel of a polished concrete floor. 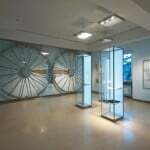 This entry was tagged Commercial Flooring, Office Flooring, Polished Concrete, Restaurant Flooring. Bookmark the permalink.